The connection of the Haftorah to the Holiday of Sukkot: The Haftorah speaks of a time in the future, when on Sukkot all external danger to the Jewish people and the State of Israel is diffused and gone forever. On that day, the Holiday of Sukkot, the Jewish people will happily celebrate an eternal national peace. The storyline of this week's Haftorah: Half of Jerusalem is captured. Zechariah predicts that a day will come when the war of Gog and Magog will take place. It is believed that in the future, at the end of days, Hashem will eventually defeat the enemies of Israel in the Land of Israel. The spoils that the Babylonians took from Israel will be returned and divided among the people of the nation so that every person receives a share. At that time, Jerusalem will be attacked and captured. The houses will be plundered, the women ravaged and half the city will go into exile, but the rest of the city will remain intact. Then, Hashem is going to wage war on these enemy nations and everyone will recognize Hashem as the King of all the earth. The land with all its peaks and valleys will become leveled off, in order to make it easier for the Jews to gather inwards. There will be no more killing in Jerusalem and everyone will be secure there. Zechariah describes a terrible plague, and the effects it will have on the people, places and things around them. Whoever survives from the side of Gog and Magog should come every year to offer thanks to Hashem, during the Holiday of Sukkot. Those who fail to appear will be subject to stiff penalties. Everyone who follows Hashem at that time will enjoy all the wealth they could have ever hoped for. The meaning of his name is Hashem remembered. Zechariah ben Ido was a Kohen. His prophetic period was around 520 B.C.E., approximately 2500 years ago. He is the 11th of the 12 prophets in the Book of Trei Assar. Zechariah wrote his own 14 chapter long book. 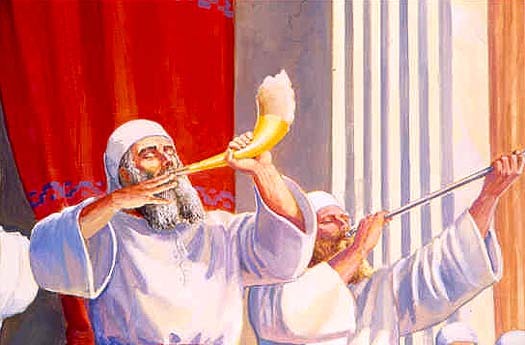 Shortly after Zechariah’s time, prophecy departed from Israel. Lived in the time of the return from Babylon and Persia. He lived in Jerusalem and was buried in the Kidron Valley. Hid the temple treasures, so that the holy vessels would not be used by nonbelievers. His peers were: Zerubavel, the governor of Jerusalem, Yehoshua the Kohen Gadol, Mordechai, Nechemia, Ezra, Chaggai, and Yonah. Famous Phrases: Zechariah, 14:9, “V’haya Hashem Lemelech al kol ha’aretz bayom hahu yeheyeh hashem echod ushemo echad”. “And Hashem will be the ruler over the world.” This is the concluding sentence of Alenu Leshabeach. Haftorahman’s lesson of the week: Zechariah’s vision explains that it is not with our individual power that our successes come from, but from our connection to the spirit of Hashem. Let us remember that to the degree that we re-connect ourselves to Hashem via the Torah, our own personal lights will shine brighter.